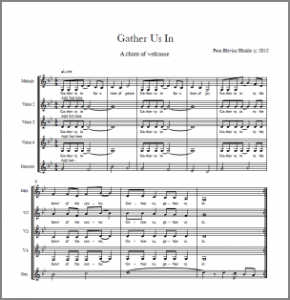 To download the “Gather Us In” sheet music fill out the form below. All fields are required. Downloading multiple scores? Click here.